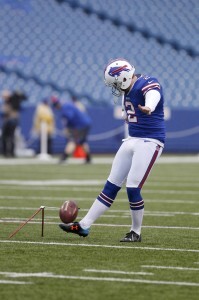 The Bills announced that they have parted ways with a number of players, including kicker Dan Carpenter. Cornerback Nickell Robey-Coleman, long snapper Garrison Sanborn, tight end Gerald Christian, and safety Phillip Thomas were also shown the door. Buffalo’s kicker from 2013-16, Carpenter was slated to carry a $2.937MM cap number for 2017. In his first year with Buffalo, he nailed 92% of his field goal attempts. However, his numbers have been slipping in recent years. In 2015, he missed six of the recently-elongated extra points and bricked five more in 2016. Last year, Carpenter made only 76% of his field goal tries, so his release doesn’t come as a huge shock. Collectively, these cuts will create $6.1MM in additional cap space for the Bills, inflating their total past $24MM. Robey-Coleman served as a sporadic starter in Buffalo, breaking with the Bills’ first unit 15 times during his four seasons with the team. The 25-year-old former UDFA signed a two-year deal to stay in Buffalo in 2015, and this release could create a bit of a market for his services. He was set to make $2.1MM this season. Buffalo will save $1.65MM as a result of this release. While profiling as a lower-tier player than Stephon Gilmore or Ronald Darby, Robey-Coleman graded out as the Bills’ best cornerback, per Pro Football Focus, in 2016. In 573 snaps, PFF slotted Buffalo’s slot man as its No. 33 overall corner. A former USC standout, Robey-Coleman intercepted two passes last season, forced a fumble and scored a defensive touchdown. As a result of this release, the Bills could well be without their Nos. 1 and 3 corners from 2016. Gilmore is expected to move on in free agency. Sanborn spent eight seasons in Buffalo and was one of the team’s longest-tenured performers. The 31-year-old played his entire career up to this point with the Bills. Buffalo signed Reid Ferguson to a reserve/futures contract after the season, and it appears the team will go with a younger cog as its long snapper. He played in 128 straight games for the Bills dating back to the 2009 season. Jerry Attaochu underwent surgery this week, and the Chargers made the customary move of placing the third-year pass-rusher on IR. Nose tackle Ryan Carrethers will take Attaochu’s roster spot, Michael Gehlken of the San Diego Union-Tribune reports (on Twitter). A former fifth-round Chargers pick in 2014, Carrethers already has 20 games of NFL experience — three starts — on which to draw after his latest promotion from the practice squad. Demetri Goodson‘s third NFL season will conclude after the Packers placed the cornerback on IR and signed fellow corner Makinton Dorleant off their practice squad, Michael Cohen of the Milwaukee Journal Sentinel reports (on Twitter). Goodson played in six games for the Packers this year and started three for a team that’s struggled to keep its cornerbacks healthy. A rookie UDFA, Dorleant has not played in an NFL game yet. He’ll likely contribute on special teams, per Cohen. The Bills have promoted tight end Gerald Christian from the practice squad, reports Vic Carucci of the Buffalo News (via Twitter). Starter Charles Clay missed the team’s flight to Oakland due to the birth of his child, so Christian, the Mr. Irrelevent from the 2015 draft, will provide some depth at tight end. To make room on the roster, the team released kickoff specialist Jordan Gay. The Chiefs have promoted defensive tackle T.J. Barnes to the active roster, reports Terez A. Paylor of The Kansas City Star (via Twitter). 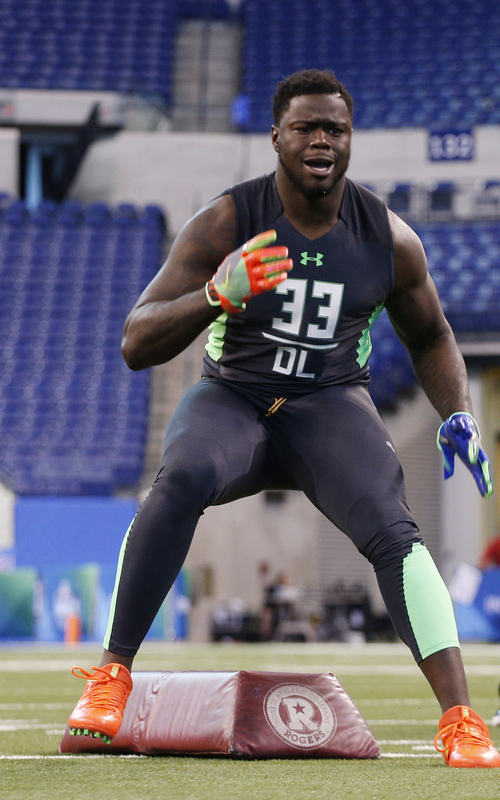 If Dontari Poe is unable to play, Barnes could slide into the backup nose tackle role behind Jarvis Jenkins. The Giants have signed linebacker Deontae Skinner to the active roster and waived center Shane McDermott, reports James Kratch of NJ.com (via Twitter). This is a flip-flop from the maneuver the Giants made last weekend, indicating some improved health for their offensive front. He’s back. Mike Garafolo of NFL.com reports (via Twitter) that the Bills have activated wideout Sammy Watkins from the injured reserve. 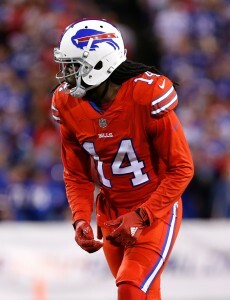 ESPN’s Mike Rodak reports that Watkins is expected to play Sunday against the Jaguars. Vic Carucci of the Buffalo News tweets that the team has also released tight end Gerald Christian and placed safety Robert Blanton on the injured reserve. 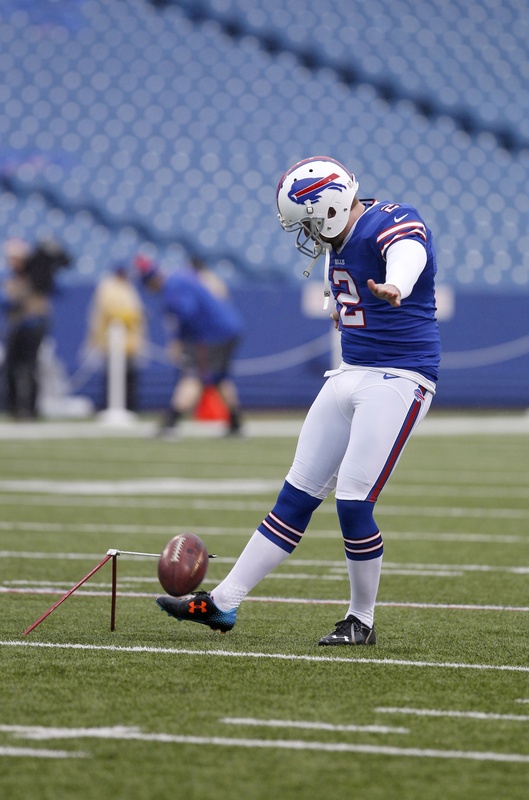 Finally, the Bills have also signed kickoff specialist Jordan Gay. Watkins hasn’t played since Week 2 as he recovered from a lingering foot ailment, and he was placed on the injured reserve in late September. The wideout has been dealing with the foot injury since last May, when he had a screw inserted following a minor fracture. The 23-year-old struggled in his two games this season, hauling in only six catches for 63 yards. Of course, there’s no denying the talent of the former first-rounder, as Watkins finished the 2015 season with 60 catches for 1,047 yards and nine touchdowns in only 13 games. The Bills could certainly use some help at receiver, especially with Robert Woods listed as doubtful for this weekend’s game. The Bills rank dead last in receiving yards this season, and while that could partly be attributed to quarterback Tyrod Taylor, the team’s lack of big-play wideouts have certainly limited the offense’s potential. The team will be welcoming back an offensive weapon, but they’ll be losing some depth on defense. Blanton has played in 10 games this season (two starts), compiling 35 tackles. The 27-year-old injured his foot during last week’s game against the Bengals. Blanton will join fellow Bills safeties Colt Anderson and Aaron Williams on the injured reserve. Christian, the Mr.Irrelevent of the 2015 draft, made two appearances for the Bills this season. The team signed the 25-year-old to their practice squad during the offseason, and he was promoted to the active roster in early October. Christian has already been released by the Bills once this season, and he subsequently landed on the team’s practice squad. Therefore, it’s easy to assume that the tight end will probably end up sticking with the organization. Gay served as the Bills kickoff specialist during the 2014 and 2015 season, and he was let go by the team in late September. Dan Carpenter will presumably continue with field goal and extra point opportunities, with Gay strictly contributing during kickoffs. The Bills have promoted tight end Gerald Christian from their practice squad, according to Mike Rodak of ESPN.com. In corresponding moves, Buffalo has waived fellow tight end Manasseh Garner and wide receiver Ed Eagan. This is the second promotion of the year for Christian, who has shuffled in and out of the Bills organization since originally joining the practice squad Sept. 7. Christian previously suited up for the Bills’ Week 5 win over the Rams, but he only played five snaps and didn’t record any statistics. The second-year man and former Cardinal will provide depth this week behind Charles Clay and Nick O’Leary as the 4-3 Bills host the AFC East rival Patriots (6-1). Garner, formerly with the Broncos, signed with the Bills’ practice squad on Oct. 5 and earned a promotion for the club’s game in Miami last week. The 24-year-old didn’t see any action, however, as the Bills fell 28-25. 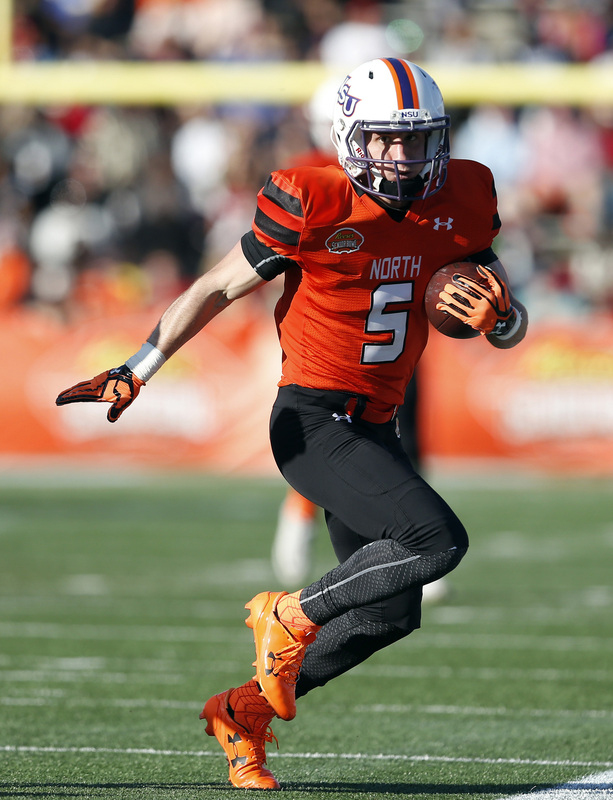 Eagan was set to suit up for the Bills this Sunday after receiving a promotion (and a comparison to Wes Welker from head coach Rex Ryan), but it turns out that won’t be the case for the undrafted rookie from Northwestern State. Although the Bills are perilously thin at receiver, where they’ve gone without Sammy Watkins for most of the season and are also dealing with injuries to Robert Woods and Marquise Goodwin, that wasn’t enough to keep the 5-foot-10, 193-pound Eagan in the fold. The Bills have released tight end Jim Dray and promoted fellow tight end Gerald Christian from the practice squad, the club announced today. Dray, 29, is a seven-year veteran who inked a one-year deal with Buffalo over the offseason. Though he’s posted 56 career receptions, Dray didn’t garner a single target with the Bills. The Browns announced that they have promoted tight end Connor Hamlett from the practice squad while waiving safety Don Jones. Jones had been a key special teams cog for Cleveland, but he hadn’t received a single defensive snap thus far. The Lions waived tight end Orson Charles, as Adam Schefter of ESPN.com tweets. Detroit signed another tight end — veteran Clay Harbor — earlier today, so Charles is no longer need on the roster. The Colts announced that they have promoted rookie linebacker Trevor Bates from the practice squad to the active roster. With veteran Sio Moore out of the picture after being cut earlier today, it’s possible that Bates could carve out a role. The Buccaneers promoted wide receiver Jeremy Butler to the active roster. In eight games with Baltimore last season, Butler posted 31 receptions for 363 yards.